Pat Chvatal is a graduate of Carroll College, Helena, Montana and Gonzaga University School of Law, Spokane, Washington. She has been practicing law in Richland, Washington since 1976. At that time, she was one of the first women to practice law in the Tri -City area. Her practice area for the last thirty-six years has been in the area of family law dealing with child custody, litigation, complex property issues, and all other areas associated with family law. 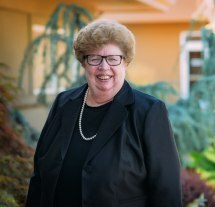 Pat has served on numerous Washington State Bar Association committees including serving on the State Executive Board Family law Committee for six years. She has served as President and Vice President of the Benton Franklin County Bar Association and was a recipient of the Al Yencopal Award in December 2008 in recognition of Outstanding Volunteer Legal Services for the Tri-City community. Pat has also been very active in civic activities serving in part as the school commissioner for Christ the King School, State President of the Business Professional Women, has served on the Board of Directors of the Girl Scouts of Eastern Washington and Northern Idaho and presently on the Board of Directors for Tri-City Prep and Board of Trustees for Carroll College. Pat has "farm roots" in the Walla Walla Valley and is a proud member of the Walla Walla County Cattlemen's Association and the Washington Cattlemen's Association.